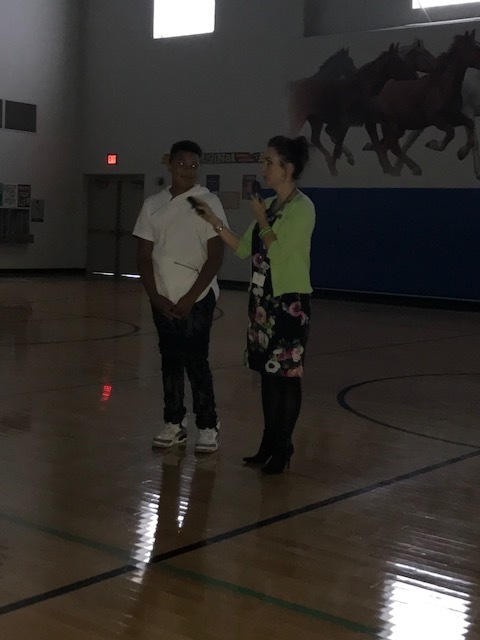 Students at GVMS are participating in Say Something this week which is a program that teaches children and students that when you know someone may hurt themselves or someone else, to please say something to a trusted adult. This helps reduce school violence. 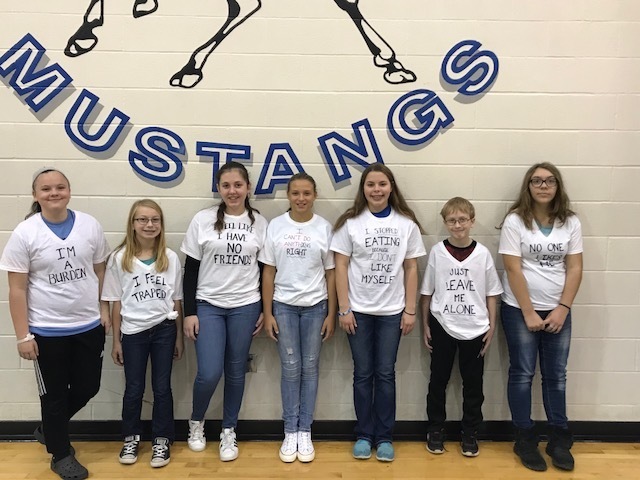 Select students wore t-shirts on Monday during the day with phrases that show warning signs of a student who is struggling. Many students spoke to the students and asked if they were okay, and some asked teachers why they were wearing the shirts. 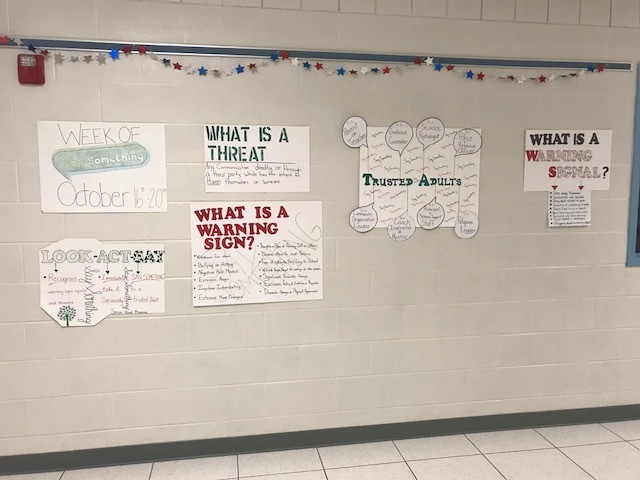 This brought great awareness to the fact that so many students just look the other way because they don't know how to talk to someone with a problem, but many at the very least still reach out the students or teachers. 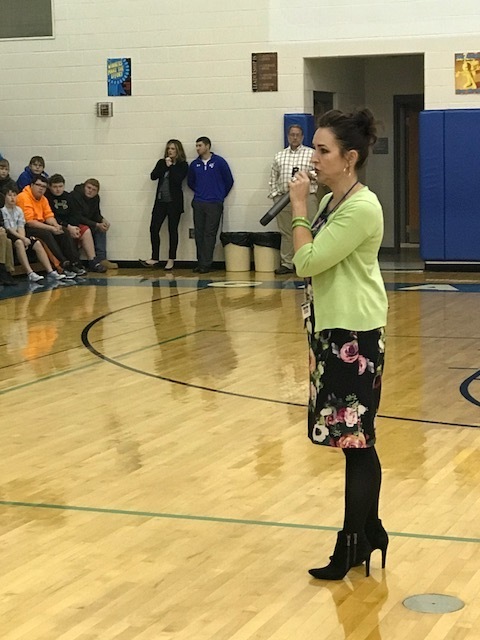 On Tuesday, 10/17/17, presenter Patricia Parker-Perry from the Sandy Hook Promise, came to GVMS and helped students learn how to talk to an adult about someone with whom they are concerned. She also reminded them there are 3 things they must do: 1) recognize a threat, 2) act immediately, 3) tell a TRUSTED adult. 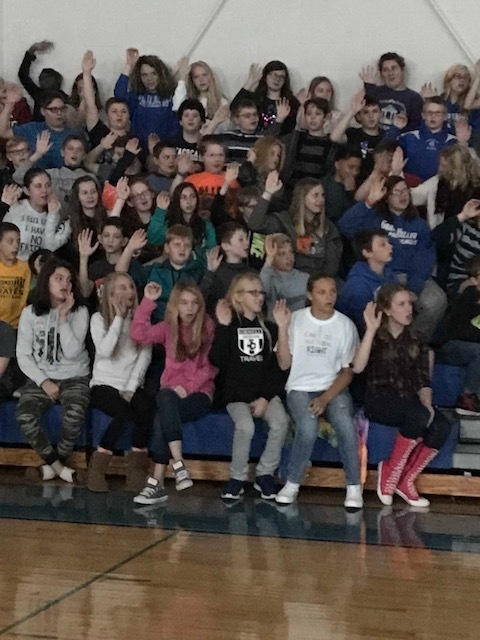 In the picture below you can see the students taking the pledge to do these things.